https://www.easyslots.com players, are you ready for a medieval adventure? 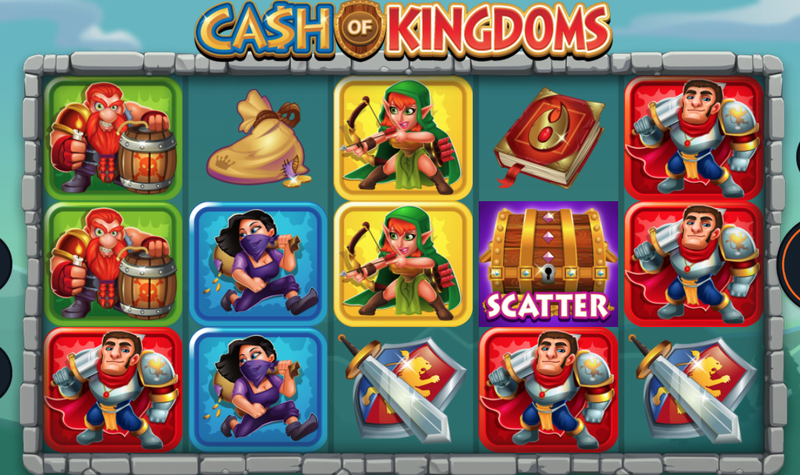 It's time to put on your suit of armour, hop on your horse, and get ready for battle in Cash of Kingdoms, a 5 reel, 15 payline slot developed by Microgaming. Cash of Kingdoms has a thrilling fantasy medieval theme. The graphics are fun, vibrant and lively with magical medieval characters. The features are also exciting with free spins, stacked wilds and invading wilds feature that throws arrows and swords onto the reels. Travel back to the medieval times with Cash of Kingdoms, a cartoon medieval themed slots created by Microgaming with 5 reels and 20 paylines. Join the knight in shining armor and the mystical mage as they fight and cast spells to make the magical kingdom wonderful again. Behind the reels, you'll see a fantastical scene that looks like it's been lifted from a fairytale novel. There are mountains, castles with turrets, sweet green meadows and a little winding river. The symbols all fit the fairytale theme and include bows and arrows, loots, bombs, shields, swords, and spellbooks. You'll also find classic fairytale characters including a mage, archer and knight. The Wild Symbol - The wild symbol is the Cash of Kingdoms logo and substitutes all other symbols on the reel except the scatter. The wild symbol only appears on the middle 3 reels. The Invading Wilds Feature - In the invading wilds feature, reels 2 and 4 will become stacked as well as adjacent reels. Free Spins Feature - Activate the free spins feature by landing 3 loots scatters. When the feature is unlocked, you'll be given 10 free spins. The wilds are now super stacked which means you have a greater chance of winning even bigger and better prizes. Additionally, wilds on reels 2 or for can turn adjacent reels wild. Here you will be awarded with a 2x multiplier. You'll also be granted 1 extra free spin per scatter you land. 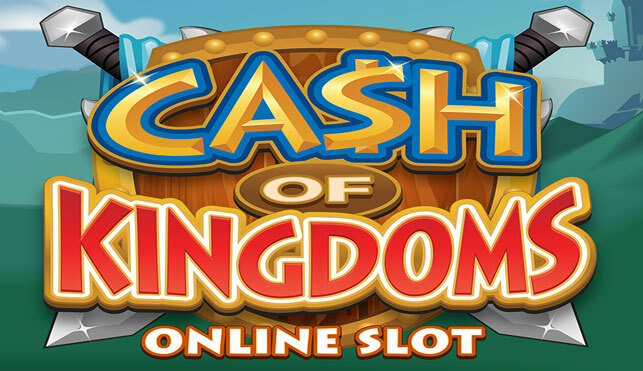 Cash of Kingdoms is an excellent slot with a fun medieval fairytale theme. The graphics are beautifully done and the music takes you back to a time long, long ago. There are some great features in this Microgaming slot, especially the free spins feature where lots of prizes are on offer from multipliers to cash rewards. Explore Easy Slots for more fantastic online slots, with a medevil theme!